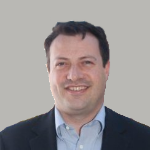 Nevil has work experience in South Africa, London, New York and Seattle. Prior to founding CareCap, Nevil specialized in corporate “turn around” opportunities taking leadership roles in a number of financially distressed companies and turning them into successful operations, one of which became Speedy Auto Glass, a company he built from bankruptcy to $80 million when it was sold to a national company. Nevil also purchased Fratelli Corp., an ice cream distribution company and sold that in an industry roll-up. He currently serves as a Partner in Xecutive Advisory Partners and has served as President, COO and CEO in companies that have delivered consistently positive results maximized through performance improvements, optimized manpower, and cost savings. 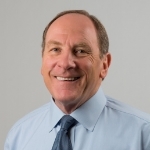 Having built 14 successful companies over the past 40 years in multiple industries, Roger has extensive knowledge and experience in Sustainability, Change Management, Designing Capital Structures, Finance, Construction, Global Product Commercialization, Product Development, Manufacturing, Merchandising and Distribution. Roger also serves as Chief Strategy Officer for Acucela, Inc, CEO of Neuro-ID, Inc and Chairman and lead investor in instaCOVER LLC, Founding Partner/Board Member Xecutive Advisory Partners, CEO of Equipment Protection Association LLC and US Board member at Clearwater College. Recently, Roger has been Chairman and CEO of IsoRay Medical, (AMEX. ISR), a global company that developed and manufactured a new Radionuclide for the treatment of malignant tumors. Roger has raised over $310 million in investment equity over his career. John Soderberg is an experienced business leader with a passion for driving sales, developing efficient organizations and delivering results. Before CareCap, John spent 18 years in the dental industry, including 16 years with Patterson Dental Supply, the largest dental distribution company in North America. He achieved tremendous success leading the Northwest Region by driving profitable sales growth and delivering company leading net income. He has also been an entrepreneur and business owner. He previously held progressive retail store management roles for specialty and department stores and a procurement manager in the savings and loan industry. Tim has over 20 years of financial and operations experience. Previous to CareCap, Tim was CFO & GM for TableSafe, a secure pay-at-the-table solution focused on the restaurant industry; where he partnered with the CEO and private equity firms to raise over $19M in angel capital. Prior to TableSafe, Tim was CFO for several Windermere entities, where he help plan and lead the Company’s vision to provide products and services to the residential real estate industry. Tim’s expertise is in strategic planning and execution; improving efficiencies and key performance indicators; mergers & acquisition, spin-offs, capital re-structuring and turn-around operations; capital financing; tax strategies, formation & compliance; business valuations; contract negotiations; insurance; employee benefits and risk management. Tim is a licensed CPA in Washington State.